Instream Water Control Projects Ltd. : Engineered design, installation and service of water control gates. 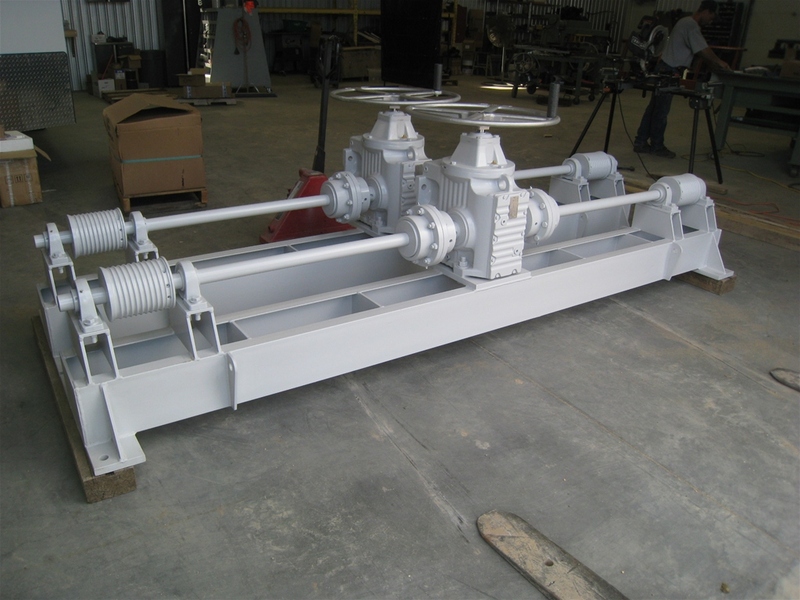 Instream Water Control Products extensive engineering and design experience makes us your North American leader in water control gate specific cable hoist designs. Every cable hoist is specifically designed for each application. By incorporating back drive preventing gear reduction boxes, the size ranges of our hoist systems are virtually limitless. Instreams cable hoists are operable by manual control, electric motor or actuator, or by solar power. Please see the photos and sample drawings for more information. Our engineers and designers would be happy to hear more. © Copyright Instream Water Control Projects.